Turning a small backyard or walled outdoor space into a courtyard-style garden is simple…when you know how. 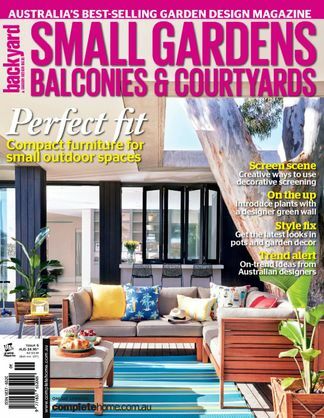 Small Gardens, Balconies & Courtyards is a special edition from Backyard & Garden Design Ideas that is full of tips and tricks to maximise the space of your outdoor living area. To help you transform your courtyard into an attractive and usable space, Small Gardens shows its readers how to make their garden seem bigger than it really is, give the impression of increased depth and dimension and soften what could otherwise be a boxy, hard-edged space. 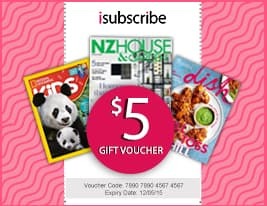 This publication offers all you need to know to create a successful oasis in your courtyard, balcony or small garden space. Be the first person to tell us what you think about Small Gardens, Balconies & Courtyards and you'll save $5 on your next purchase!